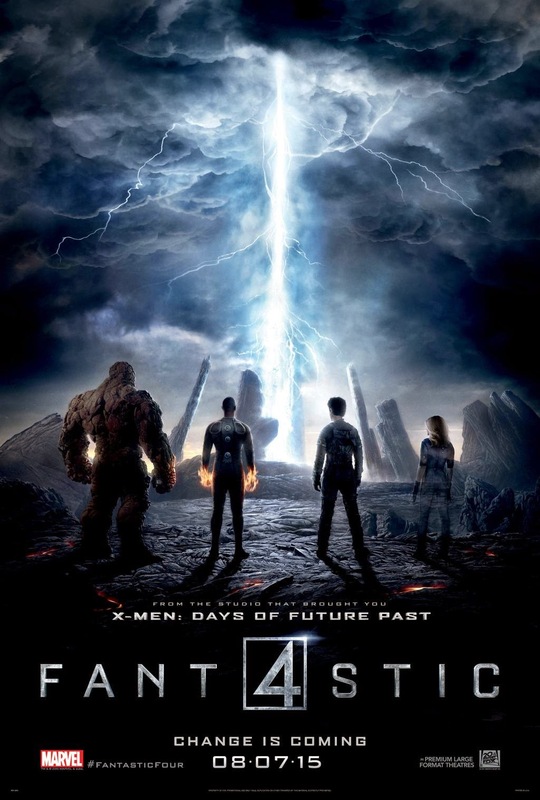 Taking the final of the teaser trailer we saw in January and adding some digital tweaks, a new poster for Josh Trank's David Cronenberg inspired Fantastic Four reboot has come our way, giving us our first glimpse of the group's powers in action. There's nothing new here. The Thing (Jamie Bell) is a giant orange rock. The Human Torch's (Michael B. Jordan) hands are on fire. The Invisible Woman (Kate Mara) is turning transparent. It's only Miles Teller who doesn't get to show off, presumably because elongated limbs would be a tad off putting (their right there. Iaon Gifford with stretched hands on the original's poster just look weird). But you have to admit, it is a pretty striking image.